Written by Camilla Scarlett on 27th September 2017 . Posted in News. 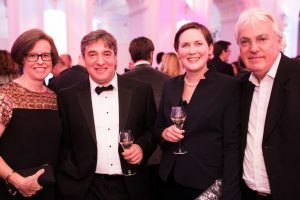 Picture by Benjamin Ealovaga: (left to right) Melanne Mueller (Avie), Adrian Chandler (Artistic Director), Camilla Scarlett (General Manager), Barry McCann (Avie) celebrating La Serenissima’s 2017 Gramophone Award.